Poor Paris. The city never had a chance. After vibrant, chaotic Italy, Paris felt drab, with monotonous architecture, excessively wide avenues, and food of variable quality. It was the start of “The Rest of Our Trip” — our post-Italy vacation — and Brighton, Oxford, London, and Madrid would have to deal with this unfair comparison, as well. 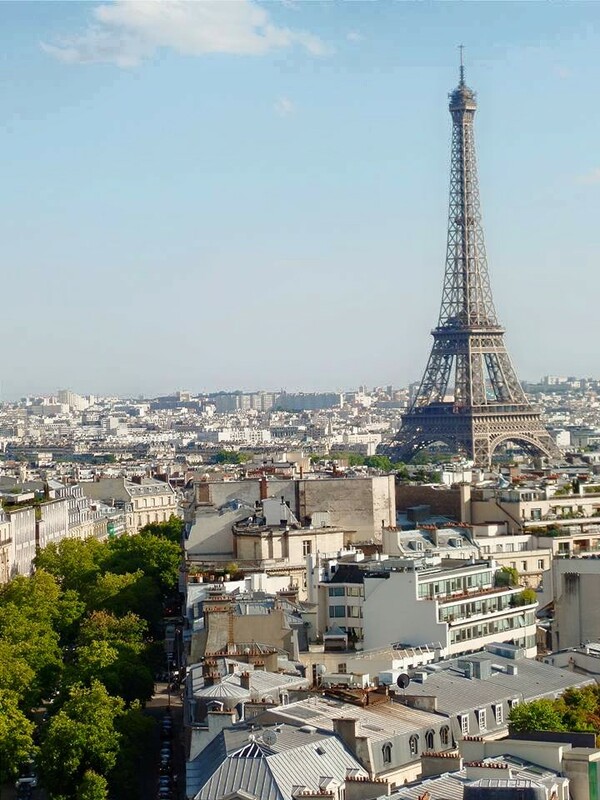 We stayed in République, which we were told was “the Williamsburg of Paris.” When we arrived, we could see why. Our Airbnb was right by a popular hangout for bobos (Parisian hipsters). The apartment felt just like our apartment in Brooklyn — extravagant on the outside, dated and tiny on the inside, with a view of another building. Just like home! We felt like locals in Paris more than in any other city on our trip: We did our laundry there (after spending about ten minutes trying to figure out the laundry machines, until a kind Asian woman came to our rescue). 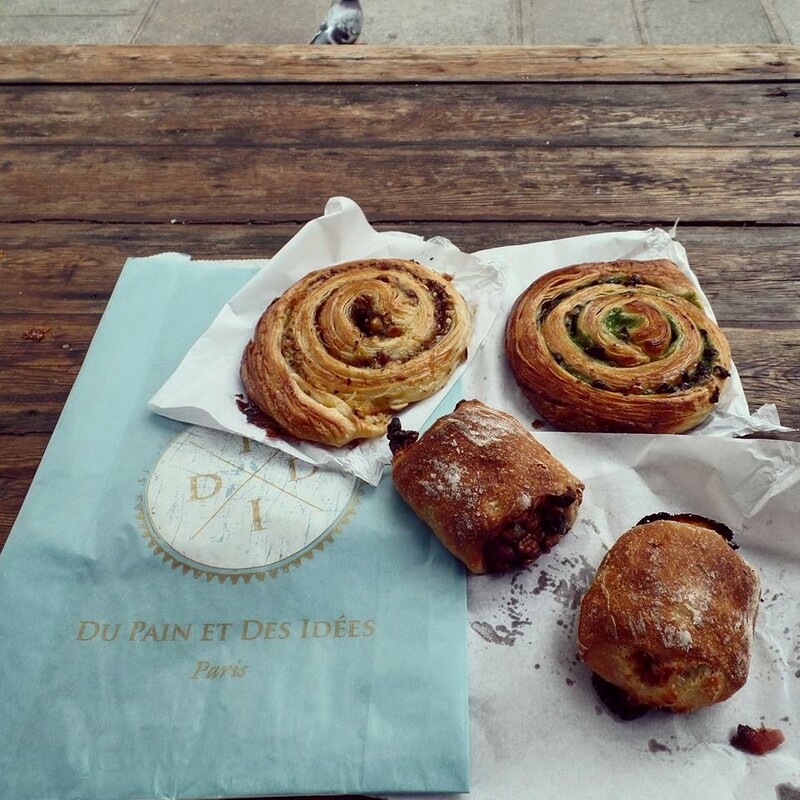 We picked up pastries from our neighborhood boulangerie and ate them at a nearby park for breakfast. 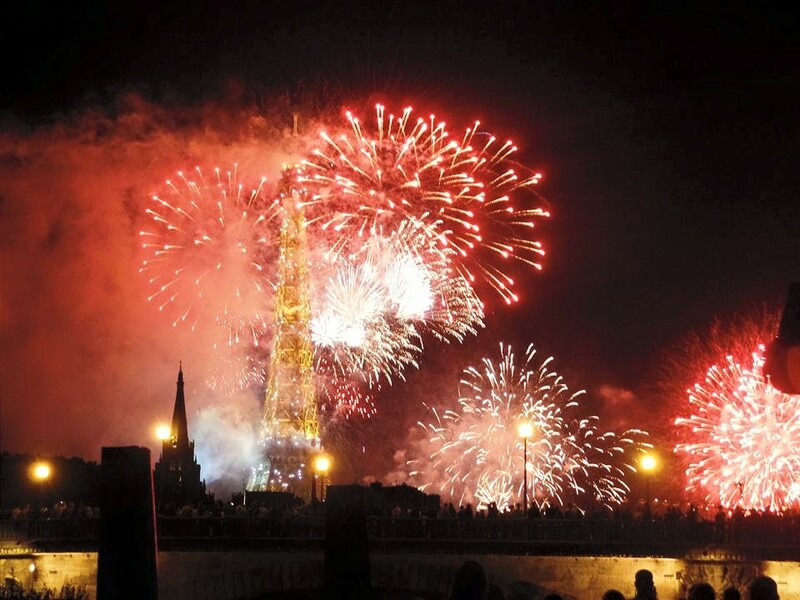 Best of all, we got to celebrate Bastille Day, or La Fête nationale, surrounded by proud, well-dressed Parisians. I highly recommend planning your travels around each country’s independence day; you’ll see each country at its best. Meanwhile, we made sure to do the obligatory touristy stuff. 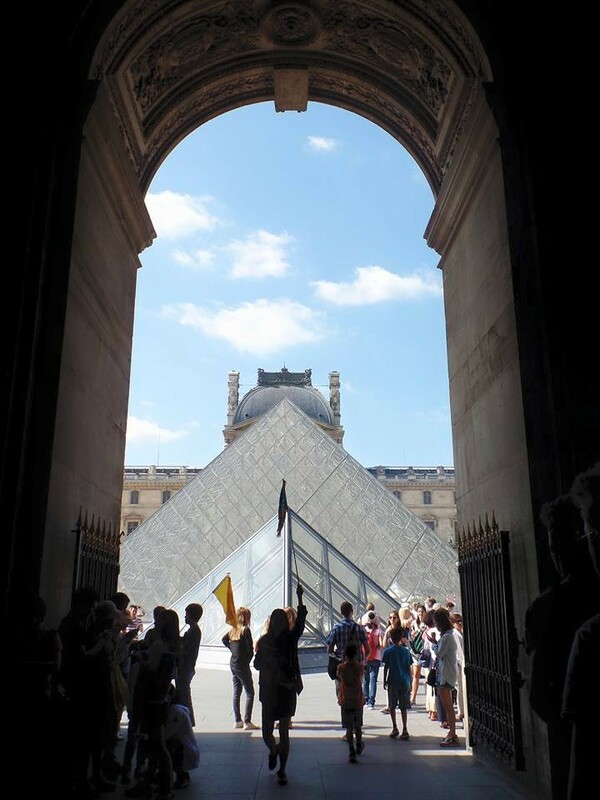 We visited the Louvre, where we saw everyone’s favorite statues, Venus de Milo and Nike of Samothrace. 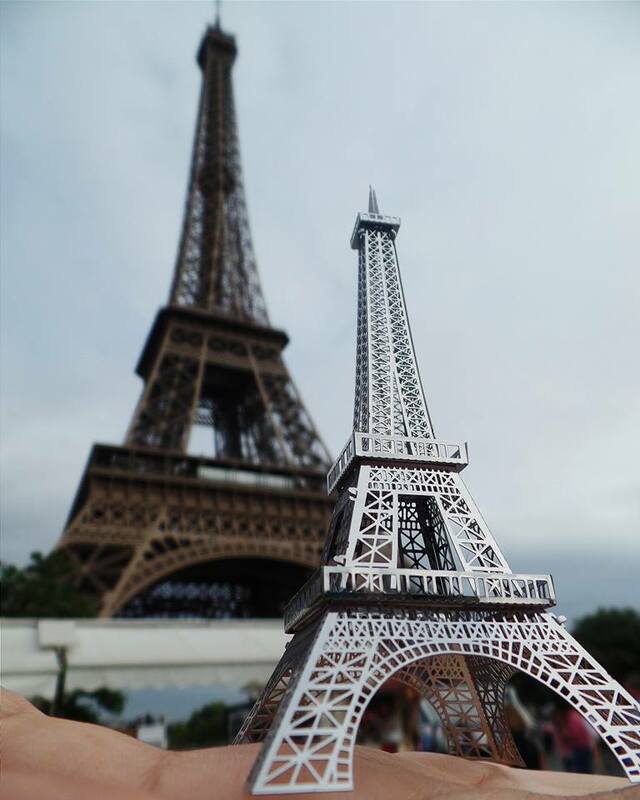 We took photos with the Eiffel Tower, both from up close and from afar. We ate macarons from the original Ladurée and were disappointed (am I the only one who thinks the Ladurée in Soho is better?). 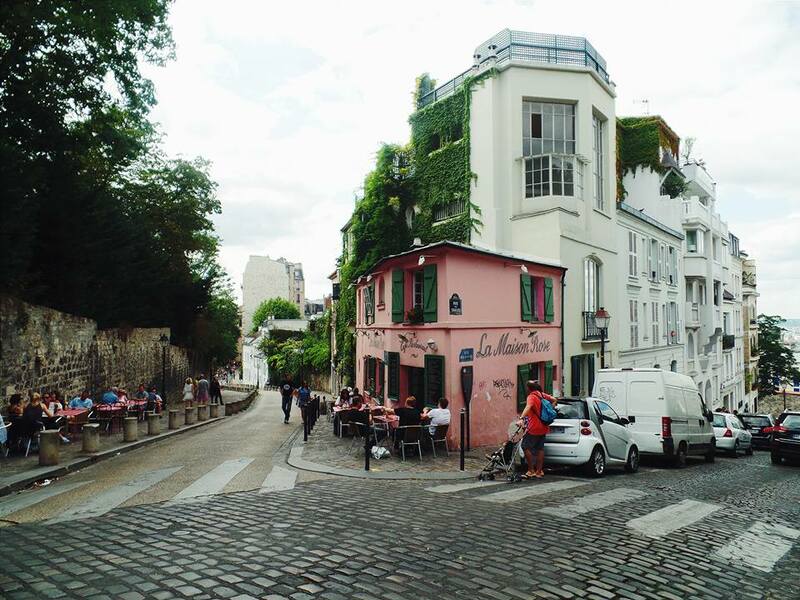 We roamed around Montmartre and walked on the same cobblestone streets of art legends like Picasso and Renoir. The view from Notre Dame. Don’t be daunted by the two-hour wait, which one local warned us about as we stood in line. It was a nice day, plus it gave me enough time to walk across the river to the Pierre Hermé in Marais and pick up a box of macarons. 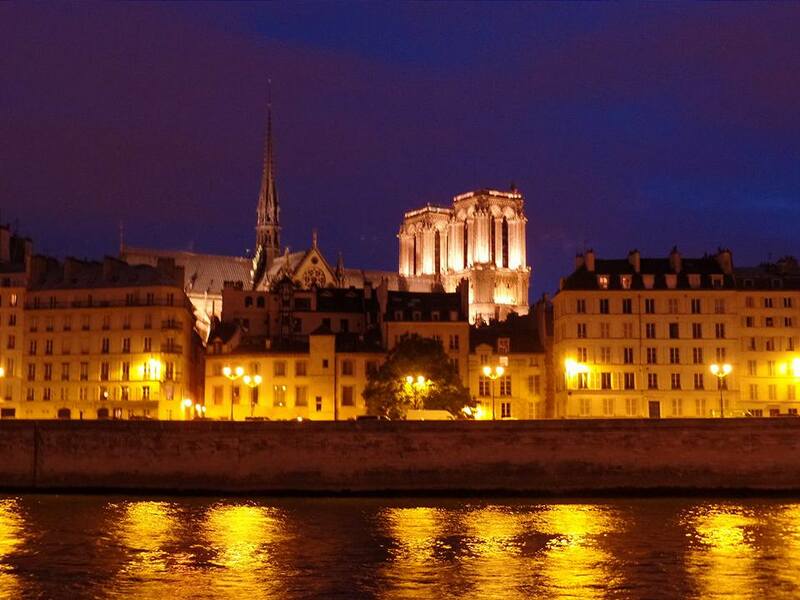 When we finally entered Notre Dame, the wait seemed negligible. 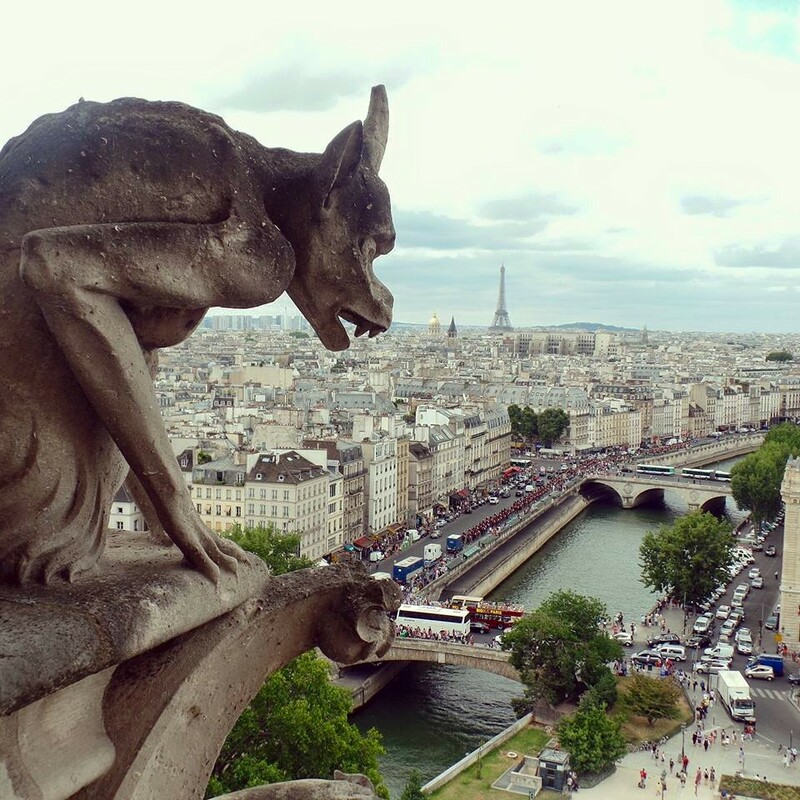 You not only have the best view of Paris, you also get up close and personal with the gargoyles and chimera on top of the cathedral. 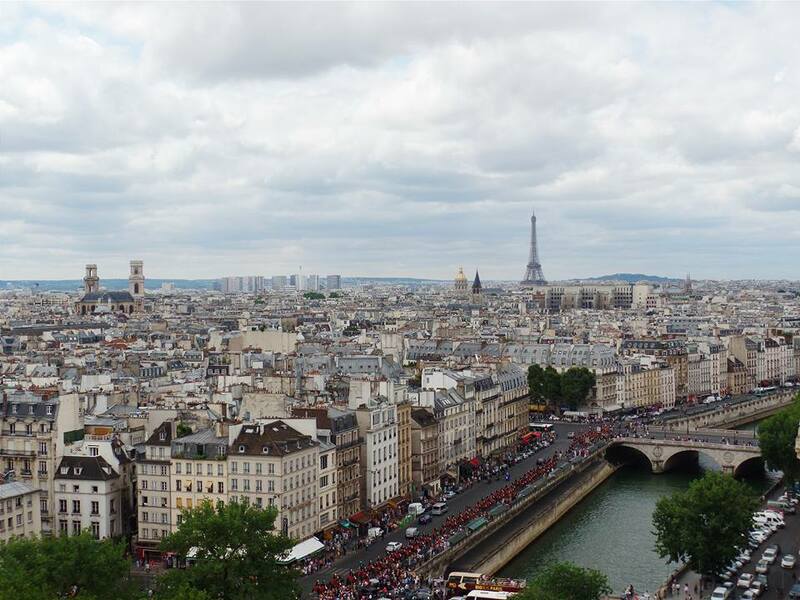 My favorite photos taken in Paris are from the top of Notre Dame, with the gargoyles — some silly and some intimidating — in the foreground, and the iconic skyline of Paris in the background. 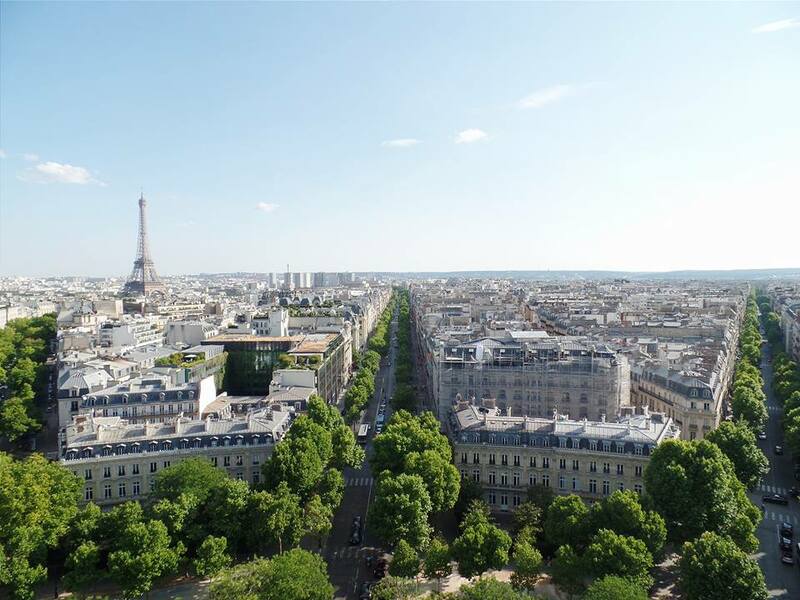 The view from Arc de Triomphe. Because it is located at the center of a dodecagonal (12-sided) intersection, the observatory gives you an interesting perspective of twelve avenues and the city’s contentious urban planning. 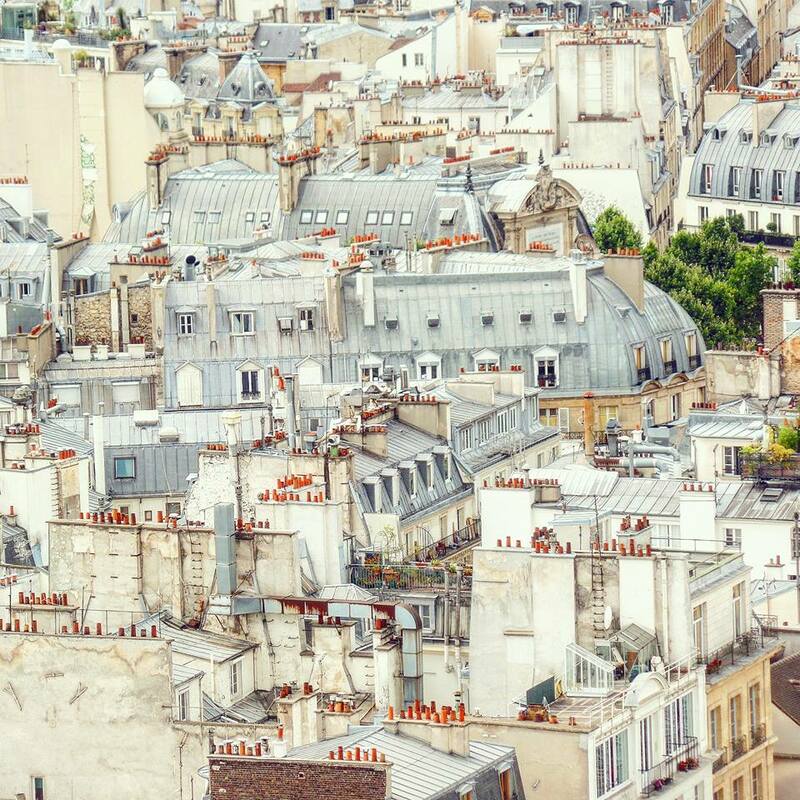 Paris is so symmetrical! Batobus. Parisians do rivers well. 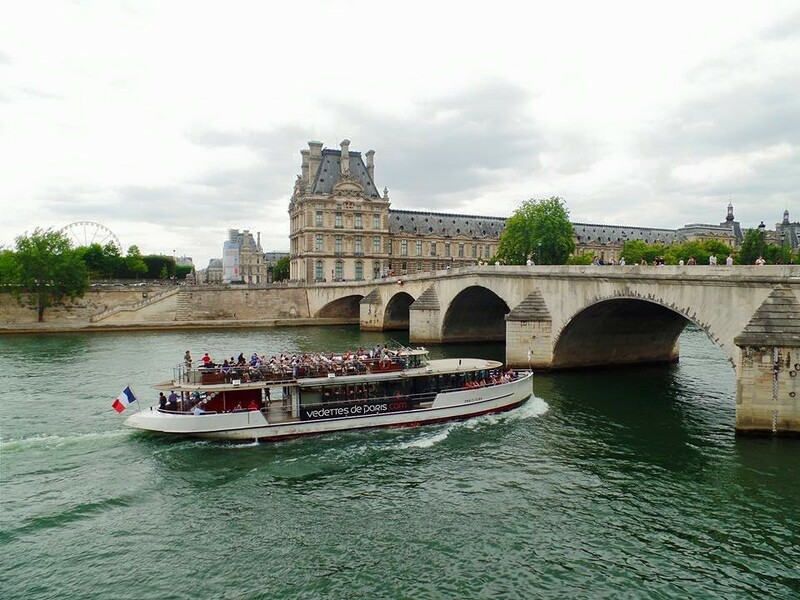 The River Seine is more like Venice‘s bustling Grand Canal than New York’s East River or London‘s Thames. You can find cool Parisians having picnics right on the edge of the river, and numerous private and tour boats sailing across. We bought a two-day Batobus pass, so we could hop on and off. The boat is slow but is a picturesque way to get to different sites around the city. Île Saint-Louis is an island in the middle of the Seine, connected to the rest of Paris by four bridges. Originally a place for grazing cattle and stocking wood, it has become quite touristy due to some famous restaurants and its charming 17th- and 18th-century architecture. 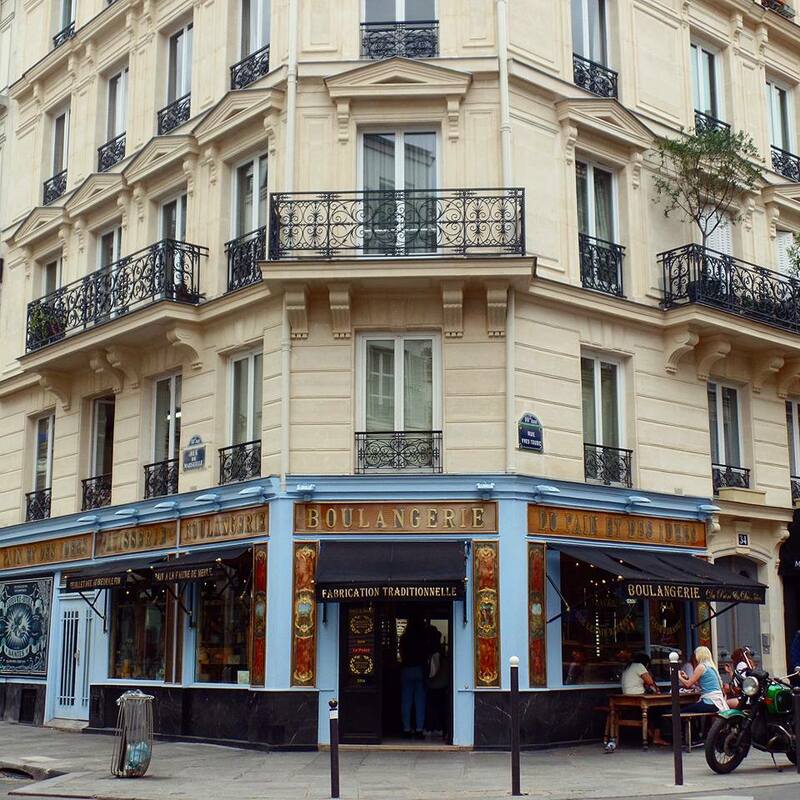 Île Saint-Louis quickly became one of our favorite neighborhoods. Don’t buy your tickets too early. I know, this goes against my usual advice. It’s typically a good thing to make reservations far in advance, but at Musée d’Orsay, it turned out that I had purchased our tickets so early that they were expired by the time we tried to use them. I should have read the fine print that they would expire three months after purchasing them. I guess a safe rule would be to make reservations 2-3 months in advance? 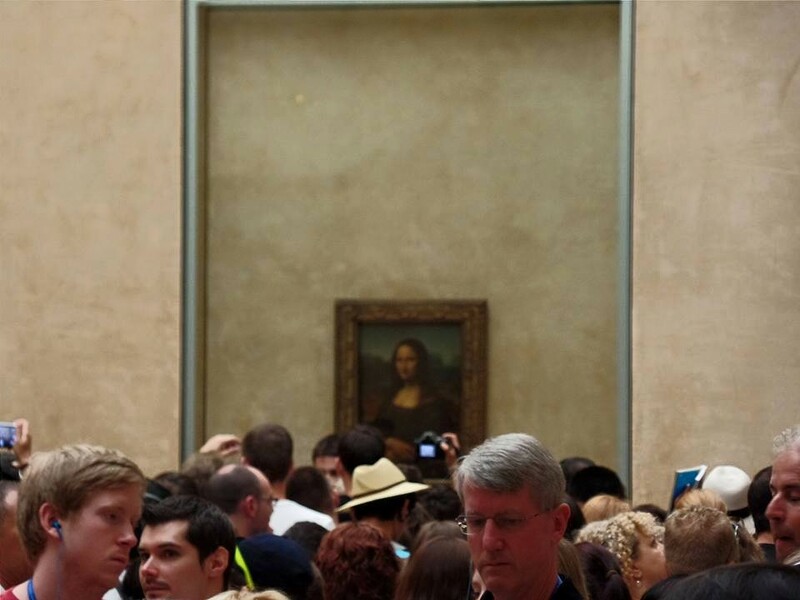 Contrary to the stereotypes, the French are not rude or snobby to tourists at all — just don’t act like an arrogant know-it-all when you butcher their language. 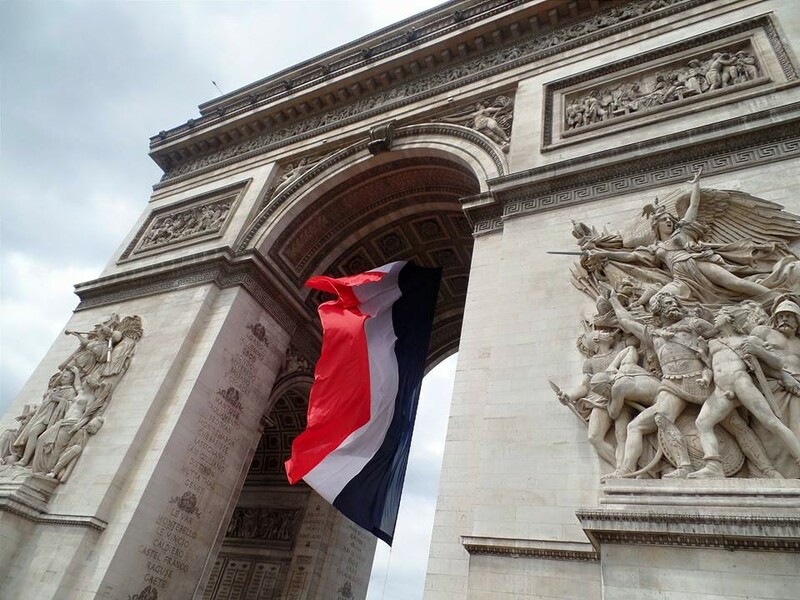 In our experience, most Parisians were charmed that we attempted to speak what little French we knew. This is especially true in touristy areas. For you Brooklynites: Tell a Parisian you’re from Brooklyn, and they’ll think you’re the coolest person ever. It’s true! Many cities in Europe (e.g., Paris, Stockholm, Copenhagen) wish they were Brooklyn because Brooklyn is supposedly the hippest label right now. 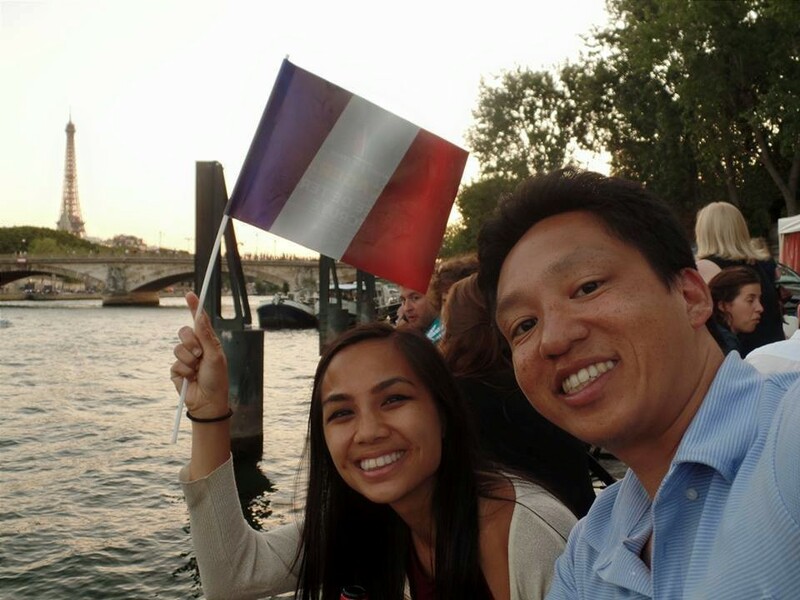 While our default answer to the question “Where are you from?” has always been New York, we learned to specify “Brooklyn” when we were in Paris because that answer is much more impressive to them.